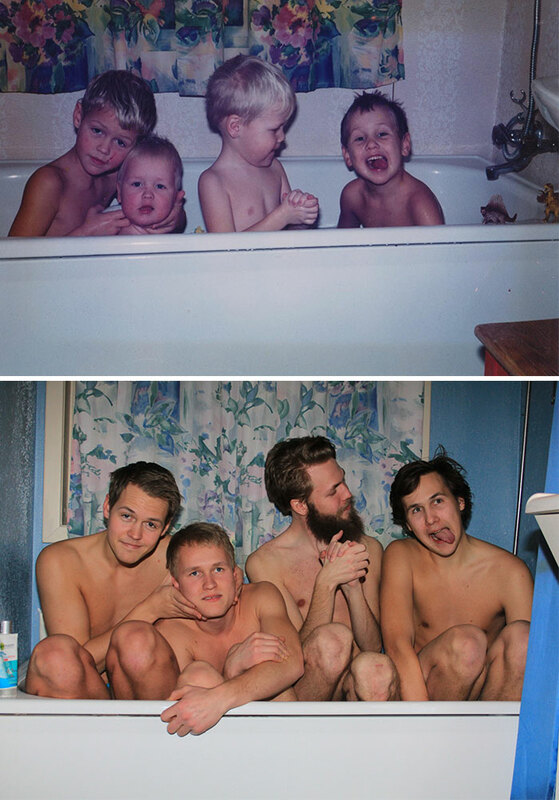 We’re sure you have already heard of this viral trend of recreating childhood photos. Our team has figured out that these photos can be a great gift for your loved ones or a great excuse to act like children again, even if for a little while, and so the trend was born. 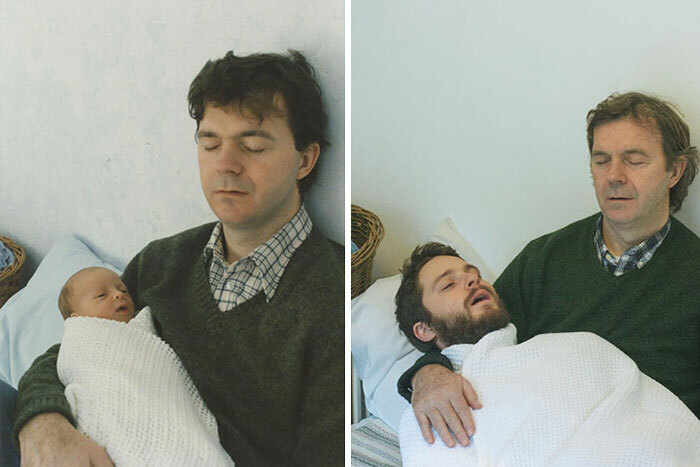 We collected a list of 30 most creative and funny childhood photo recreation shots for you to feel some childhood nostalgia or to be inspired to create your own series.